On the 5th and 6th January in Thailand, the Royal Initiative of Her Royal Highness Princess Bajrakitityabha, Kamlangjai Project (also known as the Inspire Project), hosted a two-day conference to raise awareness on the effectiveness of drug control measures, under the title “Drug Education (Methamphetamine): Social Skills for Harm Reduction”. Dr. Carl Hart was the keynote speaker and a Thai translation of his book High Price was disseminated. Participants included Thai officials from health, justice and drug control agencies, academics and civil society representatives from Thailand, Vietnam and the Philippines. Discussions focused on more effective responses to the high rates of methamphetamine use in Thailand, including options for solving the problem of overcrowded prisons (about 70% of people in prisons are held for drug offences) such as the decriminalisation of drug use and harm reduction measures. The conference opened with a film that featured Dr. Hart and his book, which can be viewed at this link. The new Justice Minister Suwaphan Tanyuvardhana, supported the view that Thailand should adopt an integrated approach to tackle the problems relating drug use and dependence. However his main concern was that legal reforms alone were not enough, and social measures, appropriate to the Thai context, were also needed to help curb the impacts of drug use and dependence on communities. The former Justice Minister General Paiboon Koomchaya, now appointed as a Privy Councillor to the new King of Thailand, made his remarks on a personal basis only. He had pushed strongly for drug policy reform during his time as Minister of Justice, calling for a shift from a punitive to health-based approach to people who use drugs and proportionate penalties to reduce prison overcrowding. He stated that the guidelines and framework of drug policy reform in Thailand has become very clear, and urged officials to put them into action with an integrated approach supported by all stakeholders. Dr. Hart spoke strongly about the need for education about drugs to be based on scientific evidence rather than anecdotal information which is often misleading. He encouraged Thai officials to not be afraid to change and implement reforms, highlighting the huge mistakes which have been made with existing drug policies. Many people are suffering for those mistakes. 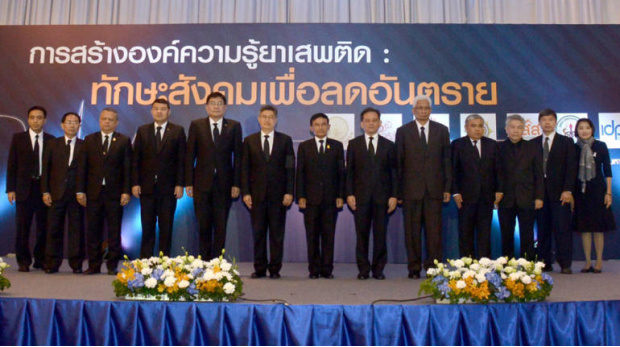 A debate followed which encapsulated the cautiousness of Thai policymakers. Even on the issue of harm reduction (a policy which the government has discussed for many years and a national policy was adopted in 2014) remained controversial for some participants who emphasised that the prevention approach should first take place in the Thai context before jumping into the harm reduction approach. Many academics and health professionals expressed their concerns over needing to “learn how to walk before we can run” as the harm reduction might not be -sustainable if they do not learn how to do prevention well first. Gloria Lai, senior policy officer for IDPC, based in Bangkok, served as a respondent to Dr. Hart’s presentation, and highlighted the need to ensure that proposed reforms can actually reduce punitive measures faced by people who use drugs, including measures such as forced urine testing. In terms of legal reform, the National Legislative Assembly has approved the draft revised drug law (Narcotic Bill (Vol. 6) 2016) which includes amendments relating to the re-scheduling of methamphetamine, resulting in reduced penalties for the manufacture, import, export and possession of the substances and permitting research to be conducted on medical use. This is a major reform of drug policy in Thailand, and as described by the Justice Minister, one of the most important moments in the history of the criminal justice system in the country. The final half-day of the conference was focussed on an analysis of decriminalisation models in Switzerland, Portugal, Czech Republic, Germany and the Netherland, along with recommendations for Thailand presented by civil society advocates Verapun Ngamee of Ozone Foundation and Pascal Tanguay (formerly of PSI Thailand). 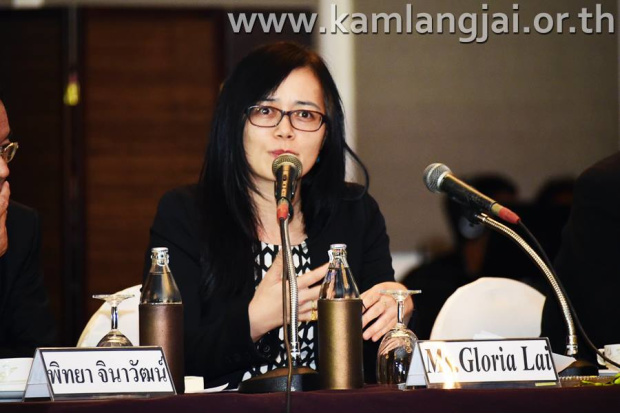 While the Kamlangjai Project, and to some extent the former Justice Minister, advocate strongly for significant policy reforms such as decriminalisation and harm reduction, it remains to be seen whether there will be solid support amongst Thai policymakers for removing criminalisation and punishment for people who use drugs, and for harm reduction.